Amazon has released a new software update for the current lineup of Kindles, including models back to the Kindle Paperwhite 2 (so 6th through 8th gen models). The new firmware version is 5.8.5 and it includes three main improvements. The first explains why page-turns are advertised as being 33% faster on the new 32GB Kindle Paperwhite that was released in Japan. They’ve also changed up the settings menu with this update. Hopefully it makes things easier to find because the older setup was scattered and not very intuitive. 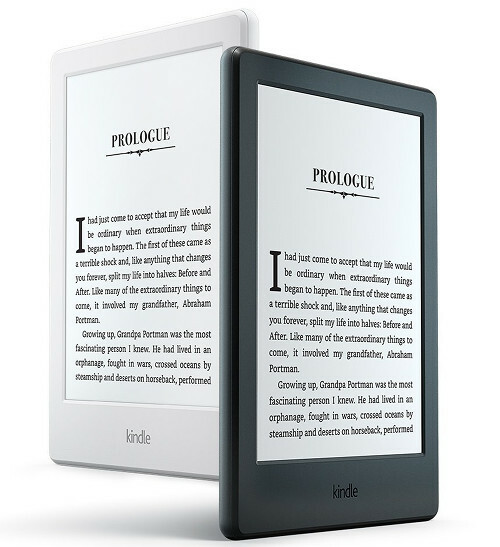 Your Kindle will automatically update to the new software when connected wirelessly but sometimes it can take a week to two to get the update. If you want to update your Kindle now to take advantage of the improvements you can find the download links and install instructions for each individual model from the the main Kindle Software Updates page at Amazon. Improved Manga Experience: Reading manga on Kindle has been improved with faster page turns, zoom, and panning around a page. You can also press and hold for fast, continuous page turns. Redesigned Settings Menu: Settings have been refreshed with an easier-to-use design. Library View Improvement: Books that were manually loaded to your device will now appear in both the All and Downloaded library views. I wish they would update the search feature. So, a couple of months ago I jailbroke my KV, is it confirmed that if I update I won’t lost jailbreak? Sorry, I don’t know. I haven’t been keeping up with the jailbreak stuff. If you’re doing it the way I did (via MR’s website), the jailbreak survives the update. As usual, you’ll probably need to reinstall your plugins if you’re using any. Ah, that’s a good point about plugins, I didn’t know that actually! Thanks! Erm… “won’t lose”. Sorry about that. Not much of a change to get excited about so if you don’t update you are not missing much. After using the Kobo Aura One, I now can fully understand about the need for Amazon to fix their fonts and contrast. Reading on the Kobo and then switching to the Kindle it is very noticeable how faded/anemic the Kindle fonts look compared to the Kobo fonts which are fully adjustable in terms of line weight. The words on the Kobo screen are so much more easier to read than on the Kindle screen. Yes precisely the point I have been trying to drive home. It doesn’t matter how much better the Kindle software is and how much more polished it is if the lighting is off and the fonts are frail and terrible with no boldness and weight adjustment. Readability and fonts are the most important factors when it comes to an E reader in my opinion. Everything else are just perks and this is where Kindles fail miserably.